Corona’s Grand Boulevard’s circular shape has always been a unique feature that attracted the attention of anyone visiting the city or viewing a map. 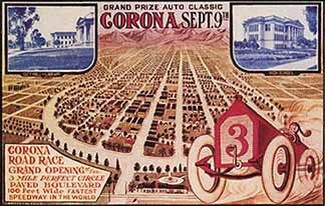 The three mile boulevard hosted the best in international auto racing in the 1913, 1914, and 1916 Corona Road Races. 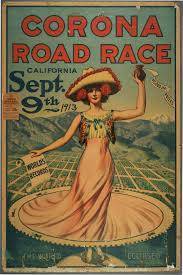 Road races were popular throughout the United States and Europe, and Corona’s Road Races each garnered thousands of spectators as well as drivers from around the world. 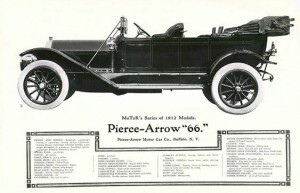 The first race, seen by over 100,000 spectators, was held on September 9, 1913 and offered $15,000 in prizes, one of the largest purses offered in auto racing. 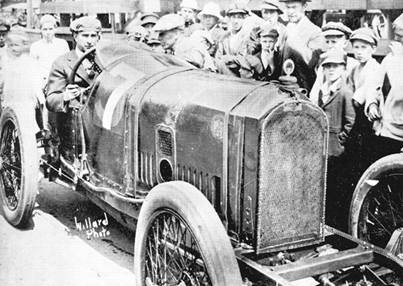 Racing legends Earl Cooper, Teddy Tetzlaff, Barney Oldfield, Eddie Rickenbacker and Bob Burman were some of the drivers who participated in the first road race. 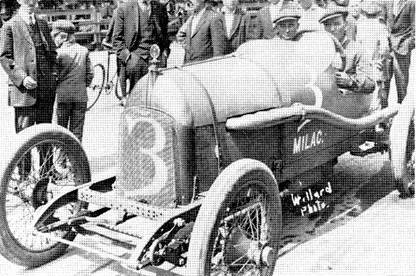 Earl Cooper was the winner. 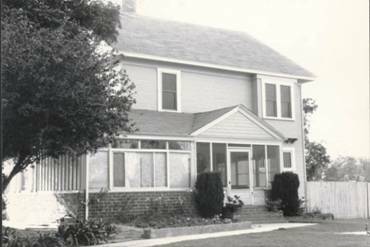 The Willard’s home at 916 E. Grand where Stephen grew up was situated right on the race track, so he was right there to see the action. 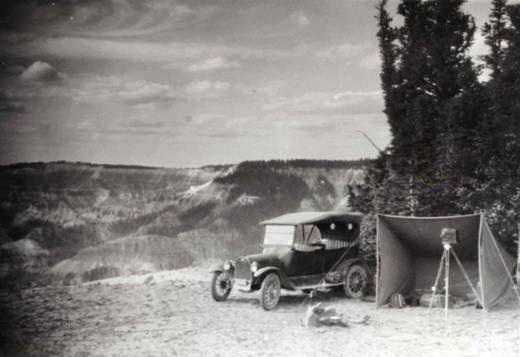 Having been give his first camera by his Father at age 14, by the time he graduated from High school he was a proficient photographer and had begun his lifelong career. 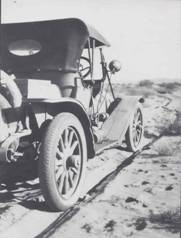 Young Stephen at age 19 was there with his camera to record the excitement of the first race and again in 1916. 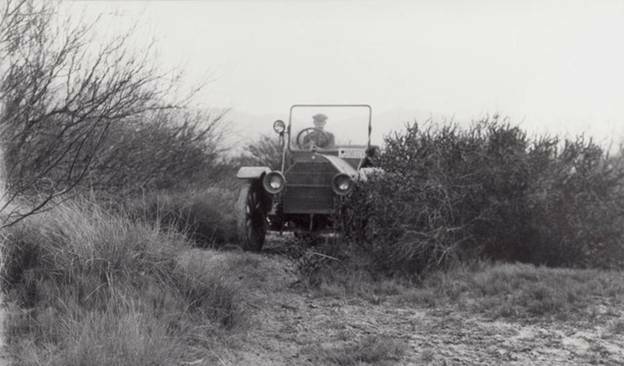 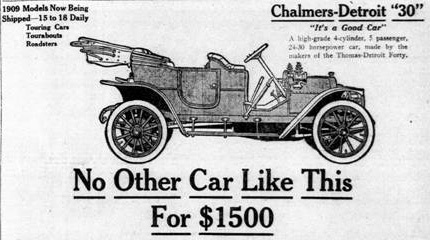 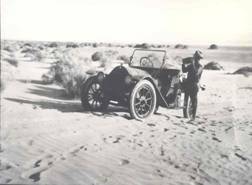 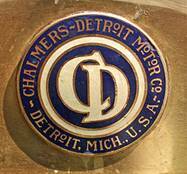 Willard chose a 1909 Chalmers Detroit as the vehicle that would endure harsh conditions and take him to remote desert and mountain locations. 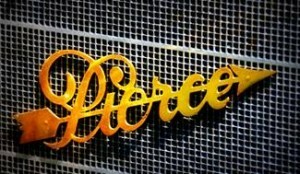 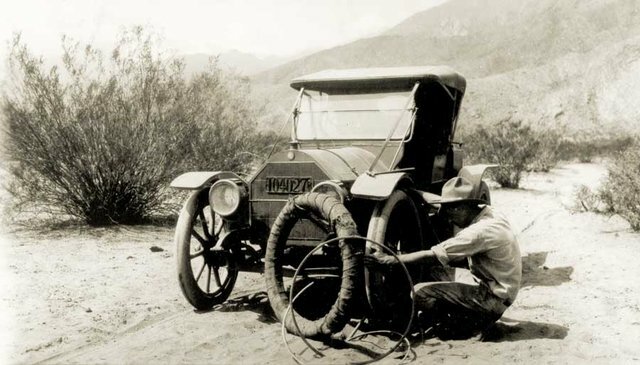 It served him well for many years. 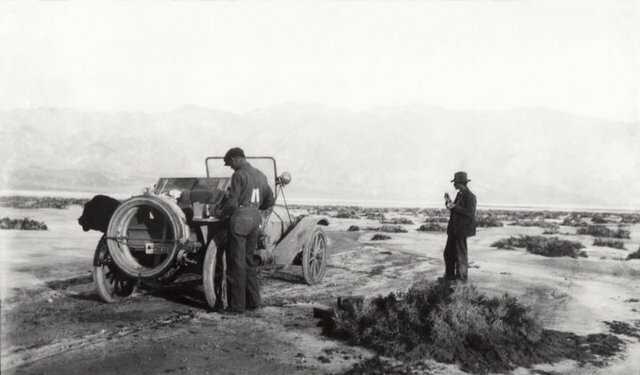 Willard changing a demountable rim tire (36 x 4) while on a trip to Death Valley in 1920. 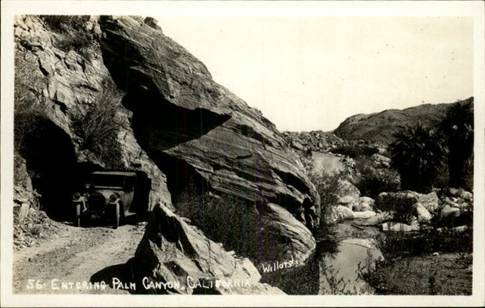 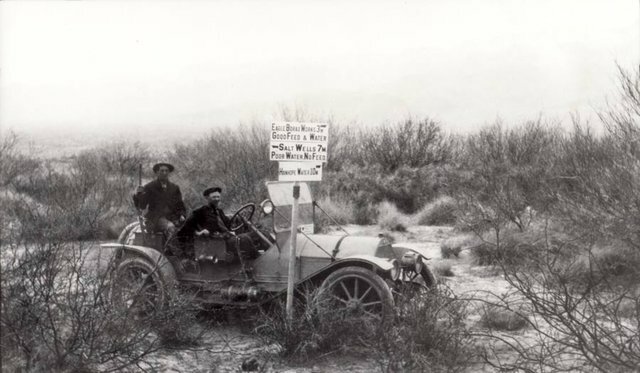 Willard made numerous trips to the desert in his 1909 Chalmers Detroit to take photographs for his scenic postcards. 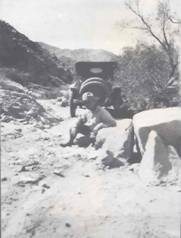 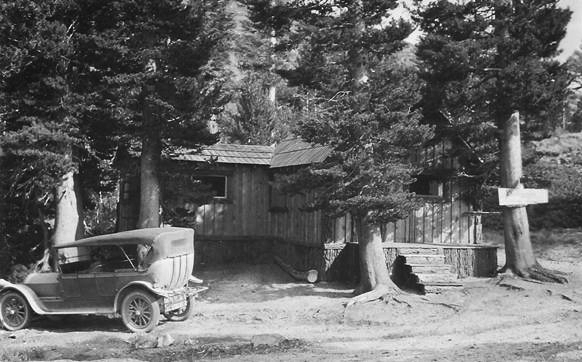 After he eventually gave the car to Harold Guseman at the Mammoth Garage, Harold used it for years as a tow car (the first in Old Mammoth).